Responsible wide usage of military technology innovations. Is it possible? The moment ARPANET was formally decommissioned in 1990 seems to me like yesterday. Most of the students today were not even born at the time but it marked the beginning of what we are all using every day and they cannot imagine their life without – the internet. When I’m thinking of ARPANET, however, I remember it was a military invention since it was initially funded by the U.S. Department of Defense. Many of the commercial products today are based on military innovations. Let’s only think of semiconductors or telecommunications if not at automotive and aviation. However, I did start with the internet example for a reason: there is a point where such technologies available on consumer use sometimes lead to being against individual freedom. It’s only a few months since the European Parliament has rejected ACTA, making the controversial trade agreement effectively gone – at least for the moment. The Anti-Counterfeiting Trade Agreement, which has been called “more dangerous than SOPA,” at one point had support from many governments around the world, including the U.S., the UK and Japan. 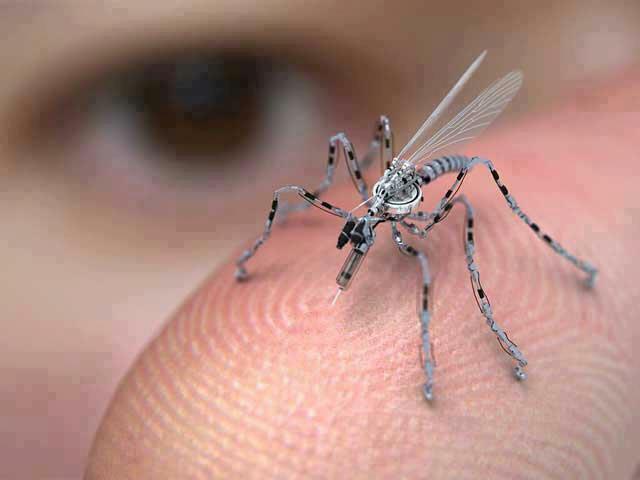 The image above shows an “Insect Spy Drone” already in production. It can be controlled from a great distance and is equipped with a camera and microphone. It can land on you and use its needle to take a DNA sample with the pain of a mosquito bite. Eventually, it can inject a micro RFID tracking device under your skin. You may even take it home without noticing it or, alternatively, it can fly into your house through a window. Of course, at this point it’s only for military use but once the technology gets cheaper, mass production would not be a problem. The New York Times mentions that the Pentagon has about 7,000 aerial drones (there may be even more now, this figure was released last year), compared with fewer than 50 a decade ago. On one hand, commercial spying can be taken to worse peaks than we imagined but, on the other hand, the individual freedom and our individual right to privacy may soon become history. How do you think this particular innovation will change our world?